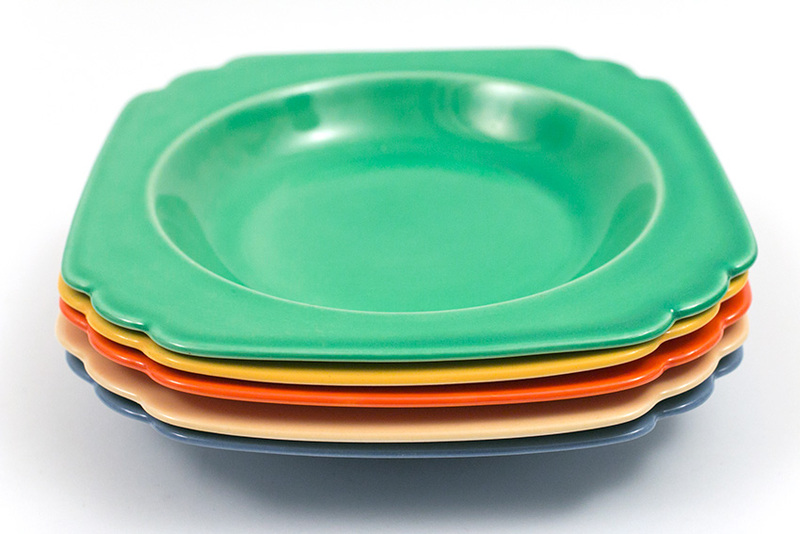 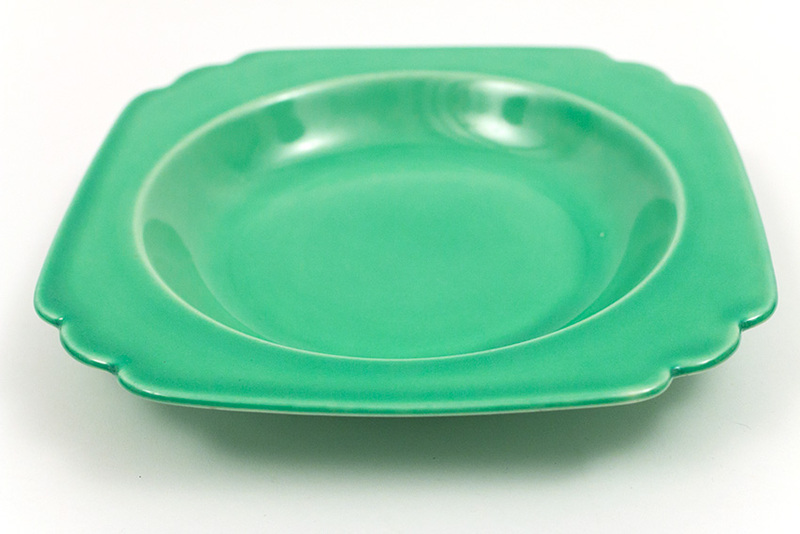 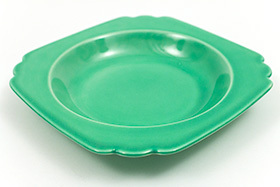 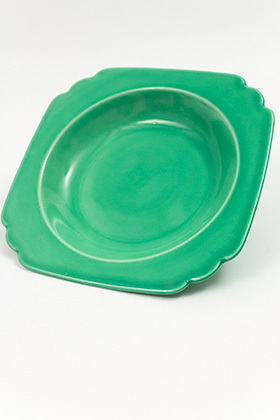 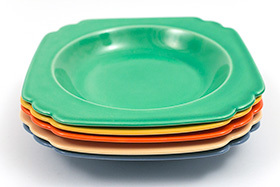 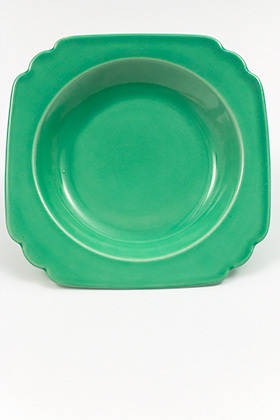 Circa 1936-1944: Homer Laughlin's Riviera pottery line includes few pieces, so we cherish them all, even the deep plate will be one of those special serving pieces. The wide brim makes for a luxurious pasta, salad or soup bowl and the fine delicate pottery lends a special feeling to this bowls use. 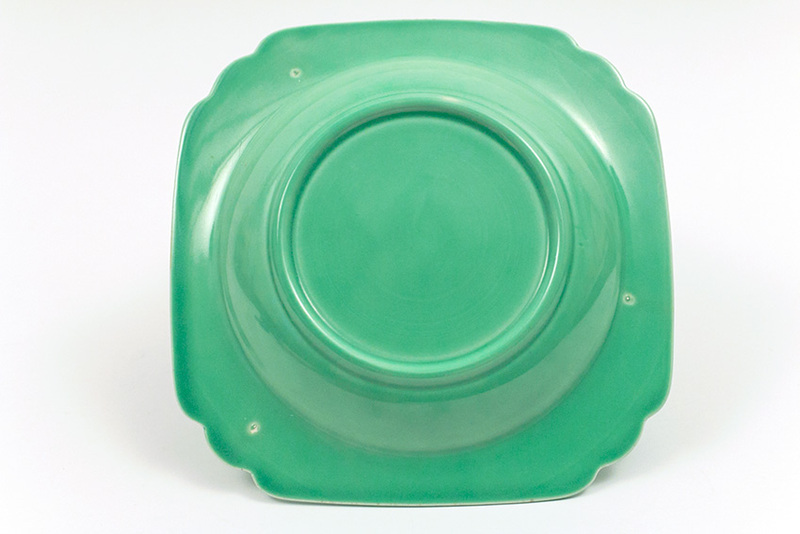 This example in original green is in excellent condition without damage and little to no signs of use.